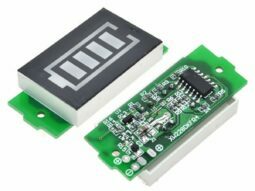 This module is made for charging rechargeable lithium batteries using the constant-current/constant-voltage (CC/CV) charging method. 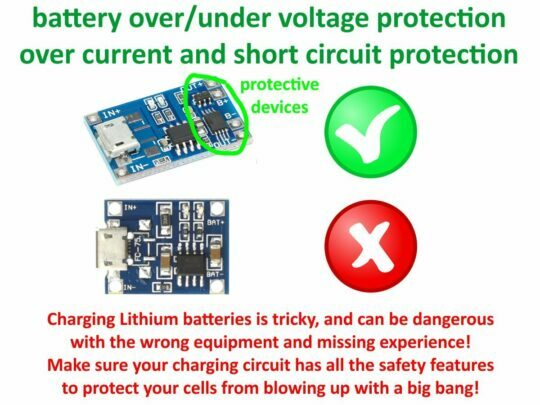 In addition to safely charging a lithium battery the module also provides necessary protection required by lithium batteries. 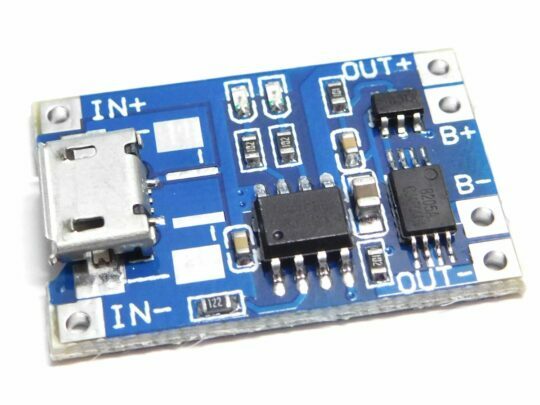 – If a connected battery has been discharged below 2.4V the module will cut output power from the battery until the battery voltage has been re-charged above 3.0V (the over-discharge release voltage), which at that time the module will again allow discharge of power from the battery to a connected load. 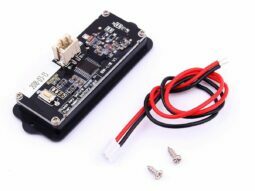 Although the module cuts output power from the battery during an over-discharge situation, it still allows charging of the battery to occur through the parasitic diode of the discharge control MOSFET (FS8205A Dual MOSFET). – Trickle charge (battery reconditioning) – if the voltage level of the connected battery is less than 2.9V, the module will use a trickle charge current of 130mA until the battery voltage reaches 2.9V, at which point the charge current will be linearly increased to the configured charge current. The charger can be powered from a micro USB cable or the IN+ and IN- connections. The power source needs to be able to provide at least 1A for the charger to correctly charge a connected battery. Most modern phone/USB chargers can provide 1A or more; refer to the label on your phone charger to verify. If you use the micro USB connection, be sure to use a USB cable that is made to carry at least 1A. 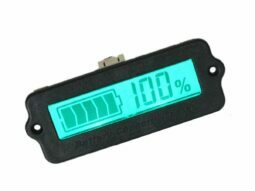 Furthermore, the board includes two indicator LEDs to indicate charging and charge termination (complete). The charge current is preset to 1A, what is the optimum to safely charge batteries with capacities of 1.4 to 5 Ah. 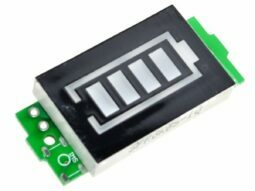 The module itself needs only some micro amps whenever it is connected to a battery. It is fine to leave the battery connected for long periods, but it can drain the batterie after a couple of months. 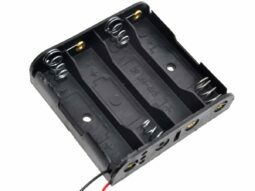 We recommend disconnecting the module from the battery when not in use for several months. It is possible to connect two lithium battery cells of the same type in parallel to form an equivalent single cell battery with a total capacity of twice that of the individual single cells, but we do not recommend connecting more than two cells at a time to this module. 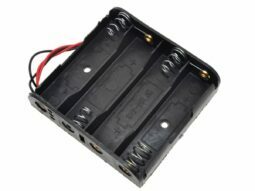 Only batteries of the exactly same type and production batch should be used for a connection in parallel.